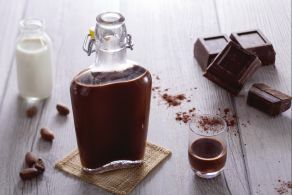 Chocolate liqueur is surprisingly super easy to make! Drink it straight, with coffee, drown your salted caramel ice cream in it or give it as a gift in a cute bottle.. the uses are endless for this sweet treat! Combine the milk, cream and sugar in a pot and bring to simmer. Add the cocoa powder little by little using a sieve and stirring with a whisk to keep it nice and smooth. Stir the mixture slowly for about 10 mins while it simmers. 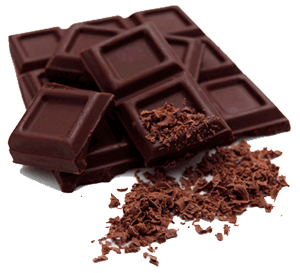 Chop up the dark chocolate and add it in the pot to melt it in the other ingredients. Once the chocolate is melted, let the mixture cool down. Finish by adding the vodka and giving it a good stir! Once completely cold pour it in airtight glass bottles and enjoy within 90 days. We took the inspiration to write this recipe from giallozafferano.it, thanks for sharing. 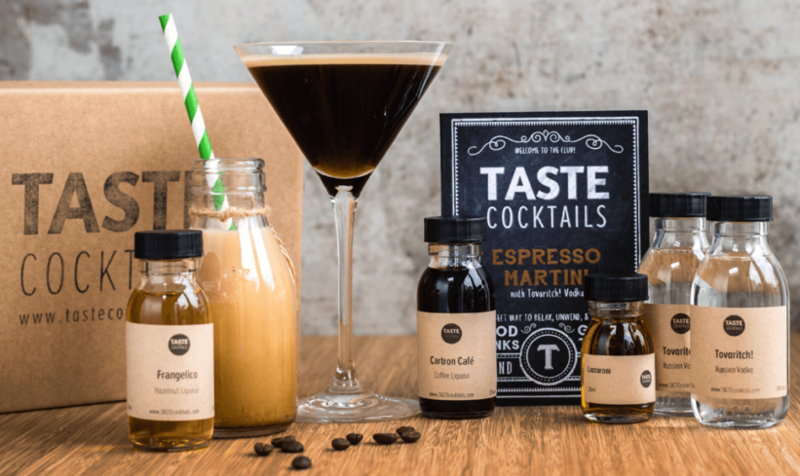 Add this delicious liqueur to your Espresso Martini to pimp it up and if you want it delivered to your door – get your kit here!